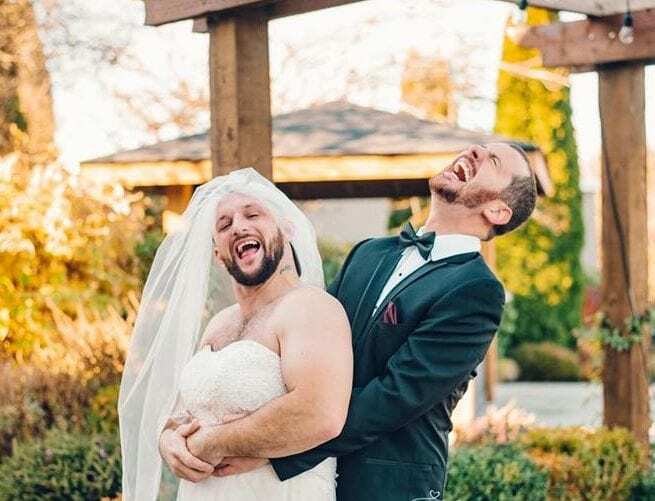 This groom couldn’t believe his eyes when his best man gave him the biggest surprise of his life on his wedding day. How did he do it? He dressed up as the bride to add a bit of levity to the photoshoot. David Hofmann was psyching himself up for his imminent wedding ceremony to Brianne Dennis. As he stood in thought, his bride-to-be called out his name. Expecting to see Brianne, David turned around to see his best man Timmy Horton. Naturally, David was completely taken aback to see that the best man was actually wearing a bridal gown. Timmy hadn’t even shaved for the occasion. Anna Morrison, who was the photographer that day, captured the hilarious moment. 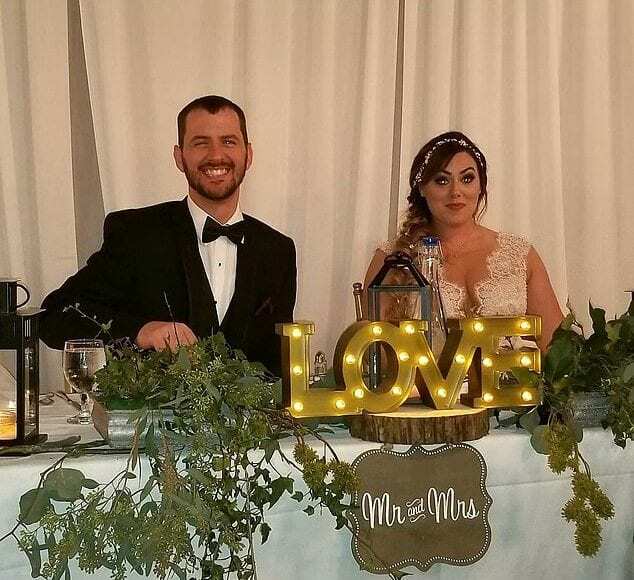 “He was pale and hairy and we love each other very much but not in that way…I was falling down laughing.” In fact, Timmy and Brianne had planned the outrageous moment well in advance. 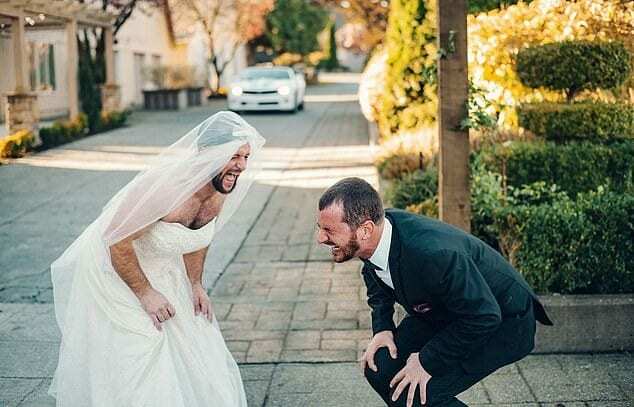 After seeing wedding gags online, they were determined to create their own.